Double Glazing On The Web provides free online prices for uPVC sash windows in Hampshire. Our double glazing prices calculator allows you to create a unique quote for sash windows in a matter of minutes. Browse uPVC window styles, glazing and energy ratings. Our double glazing priced calculator will give you a guide price for your replacement windows, including the cost of installation. Looking for a supply only window price? Contact our team today and we can help provide you with supply only prices for uPVC sash windows in Hampshire. Double Glazing on the Web has a wide network of fully accredited double glazing companies in Hampshire. We can provide you with instant online prices for sash windows, along with a free and no obligation quote from a local trusted installer. We work with the most trusted local double glazing companies in the UK, ensuring you receive a fantastic service of superb products, quality installation & affordable prices. Your Hampshire home will look charming with our gorgeous and traditional sliding sash windows. Designed to create an authentic replica of traditional sash windows, your home will be enhanced by their beautiful style and the grace they provide. You can add to their authenticity by enhancing them with a variety of hardware options and accessories that provide decorative traditional features giving a finished look that offers an exceptionally authentic design. 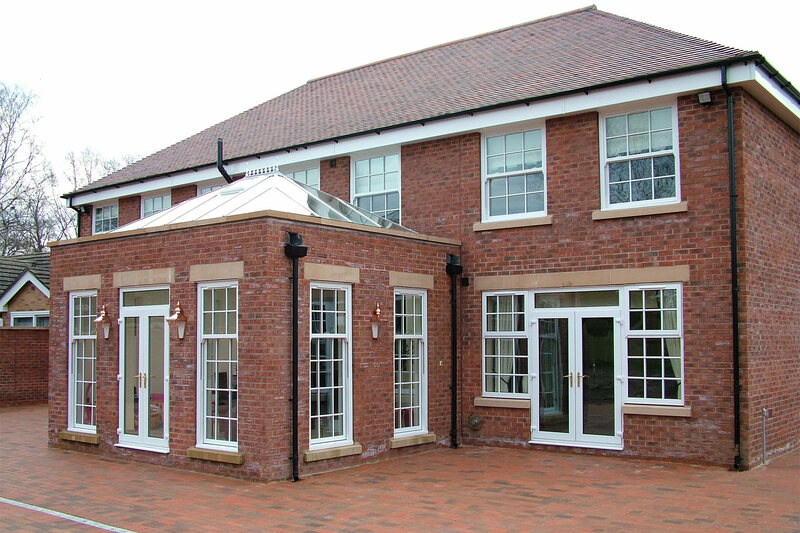 uPVC sliding sash windows are built to slide vertically either upwards or downwards. They operate on traditional pulleys rather than old style spiral balances. This gives you an innovative mechanism which provides smoother opening and effective ventilation. Create the perfect sash window for your home with our range of colours, woodgrain finishes and glazing options, enhanced by our selection of decorative accessories that emulate traditional features. These delightful uPVC sash windows may look like they come from a different era, but underneath, they feature all the benefits of modern uPVC design and technology. Keep your Hampshire home and family safe with the high security locking mechanisms fitted as standard to our double glazed sash windows. Manufactured with a state of the art sliding mechanism that is designed to provide smooth, long term performance, your sash windows will last for many years. You can opt for an innovative tilt function on your sash windows, which will enable easy ventilation and cleaning, offering safe, secure and practical functionality. To find a recommended double glazing company in Basingstoke, simply click your area on the map to start your quote.